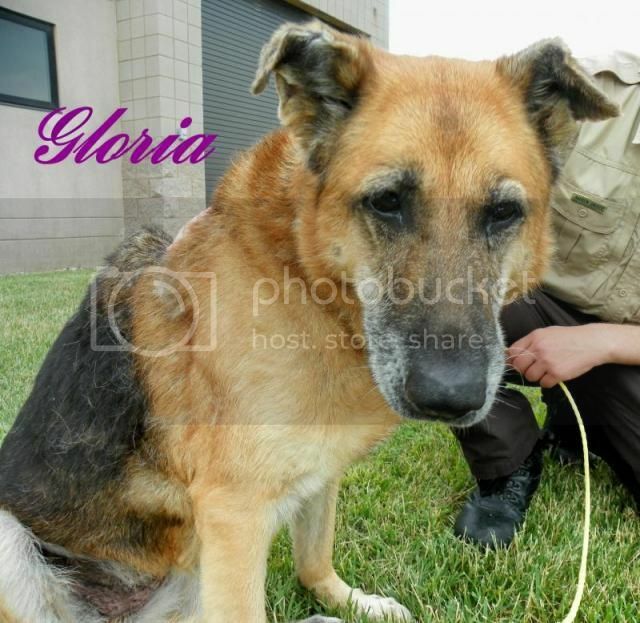 "Gloria" is a senior 10+ yr old GSD girl at the Wood County Dog Shelter in Bowling Green, OH. She was left in the overnight drop-off room and looks so bewildered, like she has no idea what happened to her or why she ended up where she's at. She is a nice girl and seems to do fine around the other dogs, but really isn't interested in jumping around or playing very much, at least right now as she has only been there a few days and is probably still trying to make sense out of her situation. There is no pull fee for 501c3 rescues and some transport help is available from the volunteers to get her to a rescue. She is also available for adoption. The adoption fee is only $75 and includes a $50 voucher to be used toward vetting or spay (we're not sure at this point whether or not she is spayed). If you'd like to know more about Gloria or give her a new home or rescue, please contact the Wood County Dog Shelter at the number or e-mail address given below. Bowling Green, OH is about 20 miles south of Toledo, and the shelter is very easy access right off of I-75. Gloria was rescued from the shelter. However, once she was out of the shelter setting, she was found to be very, very dog aggressive and unpredictable. It was a difficult decision, but considering this, along with her general health, the decision was made to have her humanely euthanized. Her rescuer will be with her as she crosses the bridge. We tried, Gloria. Shame on the family who dumped you at the shelter and walked away. Run free across the bridge, Gloria. So sad. At least she will be w/ someone as she crosses the bridge. Run free and happy Gloria. I'm sorry, Gloria. My boy Gollum is over the bridge, may he find you, so you both may take some well deserved rest and then later, play, while you wait for those who love you both.